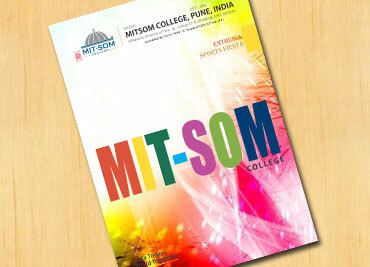 MITSOM College has inaugurated "MITSOM College CSI Student Branch" Pune on 27th January 2014 under the able guidance of Dr R.M.Chitnis, Principal, MITSOM College. The Inaugration was done at the kind hands Mr. Shekhar Sahasrabudhe, Regional Vice President, Maharashtra & Goa at Computer Society of India. The COMPUTER SOCIETY OF INDIA (CSI) which was formed in 1965, has been instrumental in guiding the Indian IT industry down the right path since its formative years. Today, the CSI has 73 chapters all over India, 418 student branches, and more than 90000 members including India's most famous IT industry leaders, brilliant scientists and dedicated academicians. The mission of the CSI is to facilitate research, knowledge sharing, learning and career enhancement for all categories of IT professionals, while simultaneously inspiring and nurturing new entrants into the industry and helping them to integrate into the IT community. The CSI is also working closely with other industry associations, government bodies and academia to ensure that the benefits of IT advancement ultimately percolate down to every single citizen of India. Mr. Sahasrabudhe enlightened the students with the current technology trends, CSI Student Branch Culture, Quiz & Project Competitions, various national & international seminars, job scenario in IT and also informed about the importance of Computer Society of India Student Branch in Education field.